Starting on Jan. 1, 2015, all employers under OSHA’s federal jurisdiction will be required to report all work-related fatalities within eight hours as well as any inpatient hospitalizations, amputations and losses of an eye within 24 hours. 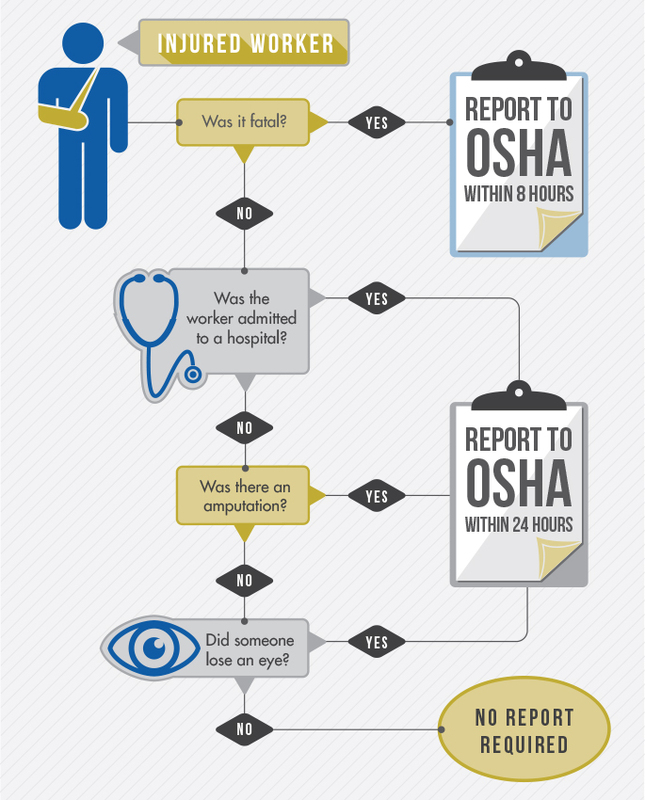 Previously, an employer was only expected to report to OSHA after a fatality or when three or more workers were hospitalized in the same incident. It’s that time of year: February 1, 2017 marks the deadline for you to tabulate your annual OSHA Log Summary (OSHA Form 300A) and post it in a common area wherever notices to employees are usually posted. The summary must list the total number of job-related injuries and illnesses that occurred during the previous calendar year and were logged on the OSHA 300 Form. And don’t forget to leave the Summary posted until April 30, 2017. If you need additional assistance, have questions about recordability, or would like to compare your loss performance trends against benchmarking data, contact us today at (831) 661-5697 for more information.